Q & A – Questions submitted by you! A great way to learn more is to listen to additional podcasts that we have posted on our website and to visit the resources listed on our website under “Connect”. We see that you asked this same/similar question on the Norman Parathyroid Center Facebook site, so hopefully their response gave you some insight. So nice you received a prompt reply. Very interesting and informative. Sadly, little is known about the parathyroid glands in the U.K. by GP’s, endocrinologists and worse surgeons. 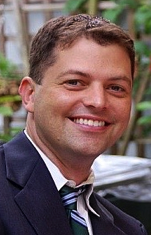 One of our so called tip top surgeons actually removed lymph nodes by mistake. This person had to fly to Florida to have it done properly but with so much scar tissue, Dr Norman was unable to remove the second bad gland. That said, what I really would like to know is, is there any other possible reason for having a raised PTH other than a growth on the gland? Thanks for your feedback – we are so happy the you found this informative! Regarding scar tissue that results from exploratory surgery – it is the worst! When we learned that the scar tissue can prevent NPC surgeons from being able to locate the adenomas during a second surgery, because the adenoma is locked into it and/or their “road map” they use to find the glands/adenomas are ruined, we cringed. That is why it is imperative to pick a surgeon wisely. We also wanted you to know that we will ask your questions about PTH during an upcoming podcast. It is our understanding that the size of the adenoma is an indication of its age. Likewise if a person is presenting classically (high calcium, high parathyroid hormone levels and low Vitamin D) it is also an indication that the person has had the adenoma for many years. It is not uncommon for those suffering to have had their adenoma(s) go undiagnosed for an average of 8 years. You might consider requesting copies of labs results from your physician done prior to your diagnosis. Blood calcium is included in the comprehensive panel which is generally ordered as part of a physical. High blood calcium levels and/or fluctuating levels over time would likely be an indication that you were suffering from hPTH. Thanks for your post. I always have to be different from anyone else. Have you heard of someone with over normal and high end calcium with over normal and high end pth, so fluctuating, plenty of unpleasant symptoms, like nausea, gerd, tight bra feeling with no bra on, advanced osteoporosis in spine and femoral neck BUT normal Vitamin D? Yes – the most telling signs of primary hyperparathyroid disease are high calcium and high parathyroid hormone levels. Fluctuation of these values are a hallmark of the disease. Knowledgeable Drs. look at the relationship between the values and do not rule out the possibility of adenoma just because the patient does not present classically (high calcium, high pth and low Viatmin D) There is also normocalcium (normal calcium and high pth) and normohormonal (high calcium and normal pth) to consider. For more information on patient lab values may we suggest that you visit http://www.parathyroid.com. You might also consider downloading their Calcium Pro app and inserting your lab values to potentially help with a self-diagnosis and see what you learn. If you haven’t already you might like to read Sophie’s story on our website as she used the app to self-diagnose. I was told I do not have hyperparathyroidism. My question is : would my case qualify for NORMOHORMONAL or NORMOCALCEMIC PRESENTATION?Or neither? 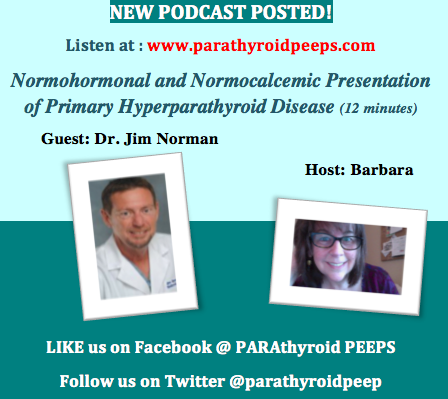 In the podcast Dr. Norman says that high calcium and inappropriately normal ‘PTH would qualify. Are my calcium levels in the 10s high or are they normal. I am suffering! If you could get the doctor or nurse or yourselves to answer, I would really appreciate it. Please help. Do they know why the glands become ‘plump’ in cases of hyperplasia? Is this genetic, diet, environmental? Does it occur in more in men than women? Since it is only 2% I have a great interest as I have had 3 of 4 removed due to hyperplasia (primary hyperparathyroidism). I will be monitored by the surgical group (Bangor,Maine) for the next 2 years with blood tests every 6 months. 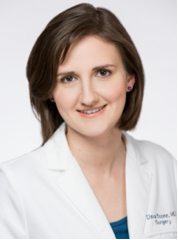 I thoroughly enjoyed Dr. Politz podcast but would love more on hyperplasia (or a link). I was told that my use of hydrochlorothiazide actually masked my problem. This came a year after my Vit D was being monitored by my GP. I was given huge prescription doses of D. D went up and down. Finally, I was sent to an endocrinologist who noted various high calcium through the years that the GP did not reflect on because it varied in the 10’s, occasionally to the 11’s. The endocrinologist followed me for yet another year… then finally a referral, and removal of 3 glands. Thank you for the free education. It is a true gift. Thanks for listening to Dr. Politz’s podcast. Glad you found it informative. Perhaps we will be able to host another podcast or do a blog on this topic and include your questions to learn more about hyperplasia.